Wedding hair and makeup take a lot of planning and bridal beauty is a very important part of wedding day and all of the events leading up to that special day. Brides and guests alike love the wedding day beauty experience. Nothing could be more exciting for the bride than to spend those moments "backstage" with her closest friends or loved ones and experiencing "hair and makeup" as if they were getting ready to go onstage for their big role in a movie. Lights, Camera, Action. Many times wedding hair and makeup are booked for the bride as well as her special guests, and other times, the time and costs of hair and makeup application and appointment times can get costly. So Gloss & Toss Hair Products has created that perfect wedding day beauty gift that every bride can give her bridesmaids and special guests. 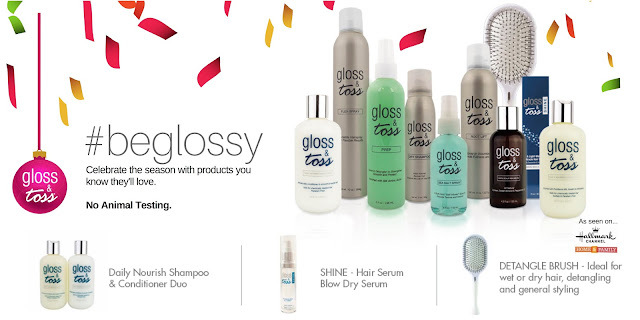 Give the gift of beauty on your wedding day with the Bridal Beauty 3 Piece Set from Gloss & Toss Hair Care Products.